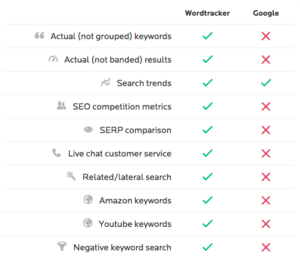 With WordTracker, you can reveal 1000s of long tail keywords with Google, YouTube and Amazon keyword data all in one tool. Save your keyword lists, filter your Keywords in the tool and find the right keywords you need for every page all in one place. Wordtracker has SEO guides from getting started to advanced techniques. 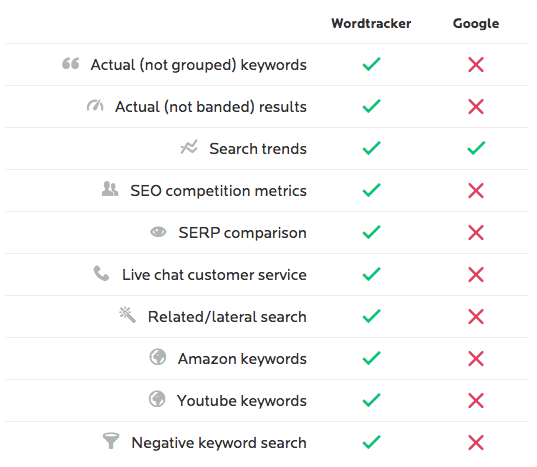 If you want more traffic to your site or want to better understand what your market is looking for you should explore Wordtracker.